‍Among the two videos below, what’s easier and more appealing to watch? Something helps you understand even without audio! In August 2017, LinkedIn launched its latest offering to its more than 610 million users: Native Video. Much like what Facebook also launched a few years ago, the offering was intended to increase in-feed engagement and encourage platform usability to its users. This is also intended to appeal more to the marketers who are on LinkedIn. Facebook and LinkedIn are using the auto-mute functionality in their platforms. Auto-mute simply means that by default, the video is muted until the viewer taps the video or manually adjusts the volume options. This is not necessarily disadvantageous as you do not want to have your speakers suddenly blast out when you open a video on these platforms. One of the best ways to leverage the advantage of the auto-mute functionality but at the same time ensure that you get to send your video’s message across to viewers is the use of closed captioning and adding subtitles to your LinkedIn video. With subtitles, you are able to overcome auto-mute and yet you are still calling out the attention of your viewers to “listen”. Now back to the question we posed at the beginning of this article. Which one is easier to watch? Personally, I’m a sucker for videos with subtitles or closed captioning. It makes comprehension a lot easier and eliminates the constant need to backtrack a video - especially if those who are speaking in the video are “eating” their words. For anything online and if one’s drive is to ensure optimal engagement with customers; closed captions and transcripts can positively impact user engagement, watch time, viewership, and of course, SEO. Also, did you know that 85 percent of Facebook video is watched without sound? The use of subtitles or closed captions is gaining wide importance and relevance, especially in the world of the premier professional social media platform LinkedIn. By adding subtitles/closed captions to your videos, you allow more viewers to enjoy your content—even with the sound turned off. You can now actually add closed captioning when sharing a video on LinkedIn from the desktop experience. You'll need to have an associated SRT (SubRip Subtitle) file attached to the video before it can be posted. Note: Closed captioning can be added to member and LinkedIn Page posts. From the LinkedIn desktop share box, select the video you’d like to share by clicking the Video icon. Once the video preview appears, click the Edit icon in the upper right corner below the X to see the Video Settings. Click Select File to attach an SRT file and click Save. Add any additional text or hashtags and click Post. Once the video is uploaded, processed, and ready to view, you will get a notification. The closed captioning will be viewable at that time. What if I don’t have any SRT files ready??? The world leading video hosting service by Google actually already allows you to add subtitles to a video that you upload on their website. The site itself automatically transcribes your videos. For a quick look on how to do this, check this video out. The only downside there is that YouTube’s auto-captioning capability is only 70% accurate - and this is for the English language. Much more so if you’re not using the English language. This results to you making incomprehensible and usually forgetful captions. 3Play Media provides closed captioning, transcription, and audio description services to make video accessibility easy. The service, however, works on the premise that you already have a video transcript available for you to upload into your video. If you don’t have an existing transcript, you will need to order transcription for open captions. This means you may have to shell out more cash aside from the initial payment you made to subscribe to the service. Rev is an online service provider that relies on hand-picked freelancers to provide transcription, closed captioning and translation services. Rev: Closed Captions Made Simple. Their close caption services carry a $1.00 per minute of video cost and they claim an accuracy rate of 99% or better for text and timing and guarantees a turnover rate of 24 hours or less for videos that are under 30 minutes. The price for multiple languages, however, jumps to $3.00 per minute. Zubtitle is a video captioning tool that helps you increase your video reach & engagement by automatically adding captions to any video. Zubtitle: How to add captions to LinkedIn videos. 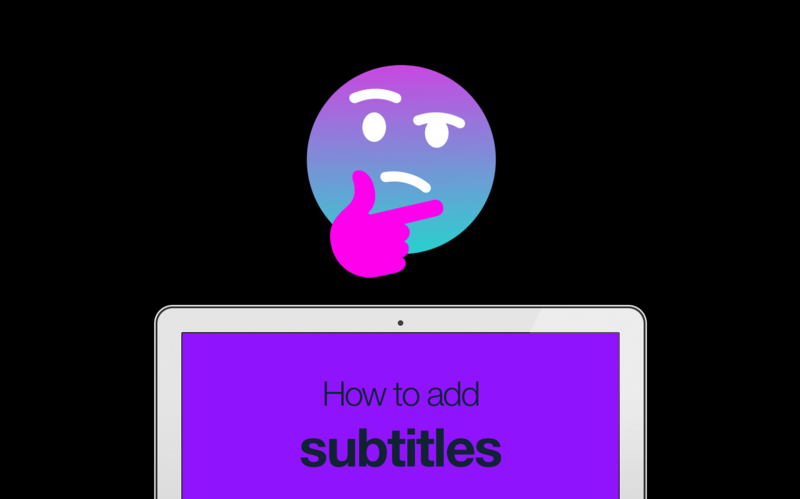 Zubtitle provides a free account and service for you to add your subtitles. 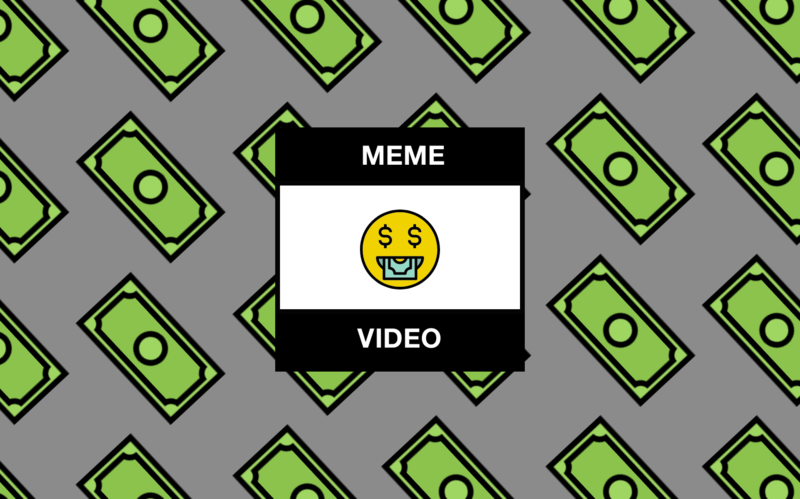 You will begin making payments when you need to export a finished video. Similar to YouTube, the Zubtitle tool automatically transcribes the audio from your file and generate timed captions. But their site specifically states that their speech-to-text technology isn’t 100% accurate. As a result, you will want to review your video for inaccuracies. The Blurbiz app is the ultimate video creation studio for everyone. Our users are given the awesome ability to create videos like a professional with zero experience. When you decide to sign up for the Blurbiz app, apart from its robust and powerful video editing services, you also get everything you need for video captions in one place! The app is very easy to use! Pull video from Youtube. Copy and Paste Youtube's URL to import video. Upload SRT files. 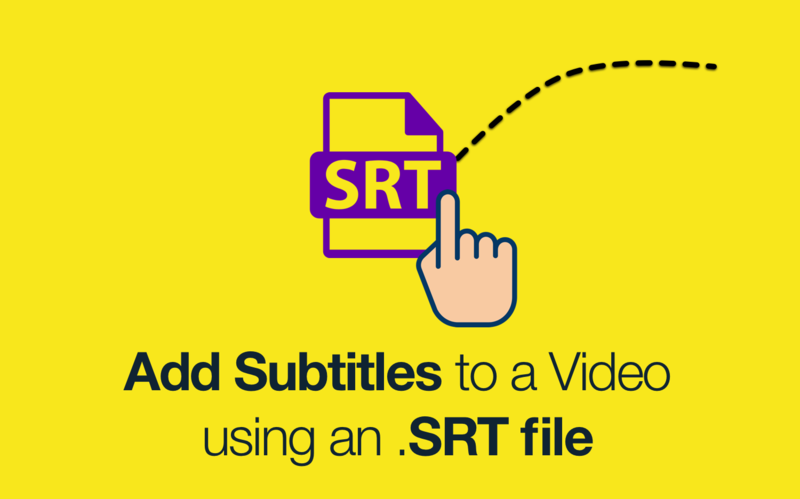 Add captions faster by uploading your SRT File. Foreign languages subtitle capability. All languages subtitles are supported even emojis 😎! Capacité de sous-titres en langues étrangères. Toutes les langues sous-titres sont pris en charge même emojis 😎! 외국어 자막 기능. 모든 언어 자막은 emojis 😎에서도 지원됩니다! القدرة على ترجمة اللغات الأجنبية. ويدعم جميع اللغات ترجمات حتى emojis 😎! The Blurbiz app does more than just add your simple run-off-the-mill subtitles to your potential LinkedIn videos! Take note of these three easy steps! Upload Video. Add Subtitles. Download. With Blurbiz you can control your subtitles to the very last detail, adjust video size and change your background color! Now that you’re done adding your subtitles to the video that you’ll be uploading, it’s time to share it into LinkedIn!